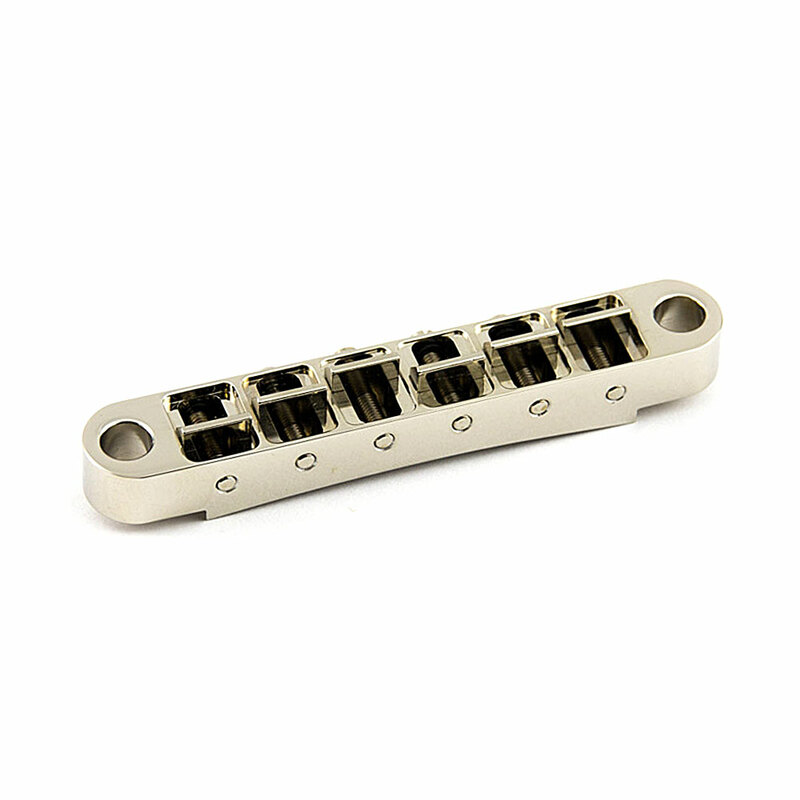 The ABM 2506 Tune-o-matic is a premium quality Nashville style bridge supplied with the larger 8 mm metric 'import' bridge posts and bushings. The bridge is milled from a solid block of brass for superior quality and tone and the wider body gives extra intonation room over the older ABR-1 style. The saddle intonation screws mount through the body so there is no need for a retainer wire to keep them in place during restringing and means no rattle or buzz from the wire. 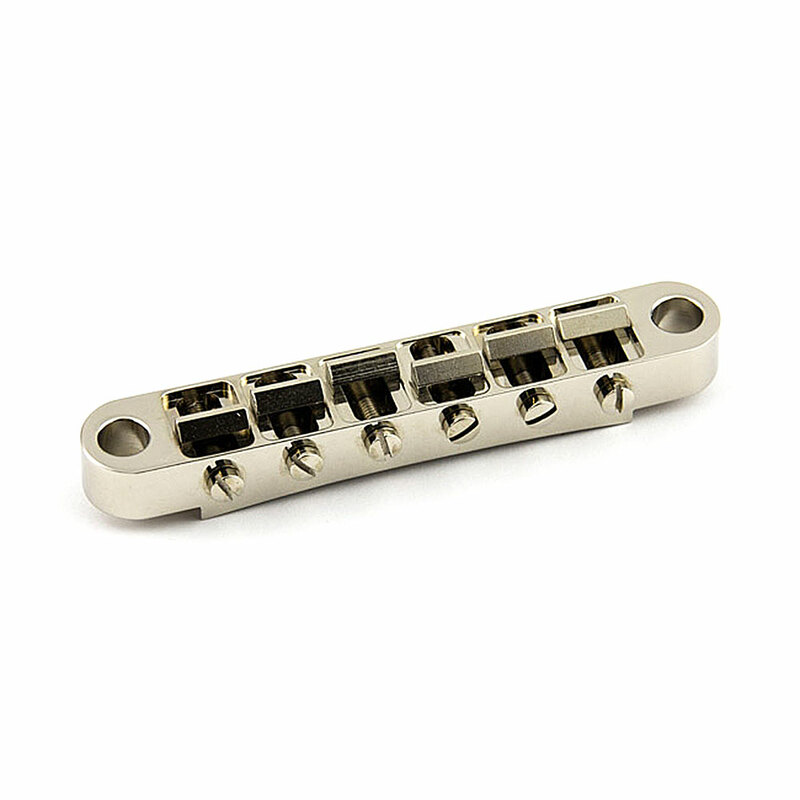 The machined brass saddles are unnotched to allow them to be slotted to the correct string spacing and gauge for your guitar (saddle spacing is standard 52 mm / 2.9" E-e). The large 'import' style bridge posts have a slot in the top to allow easy height adjustment from above the bridge and are a direct replacement for bridges of the same style commonly found on Epiphone, ESP/LTD, Schecter and other guitars made in the far East and Japan. The bridge comes with a spare saddle, intonation screw and retainer clip for a long service life.